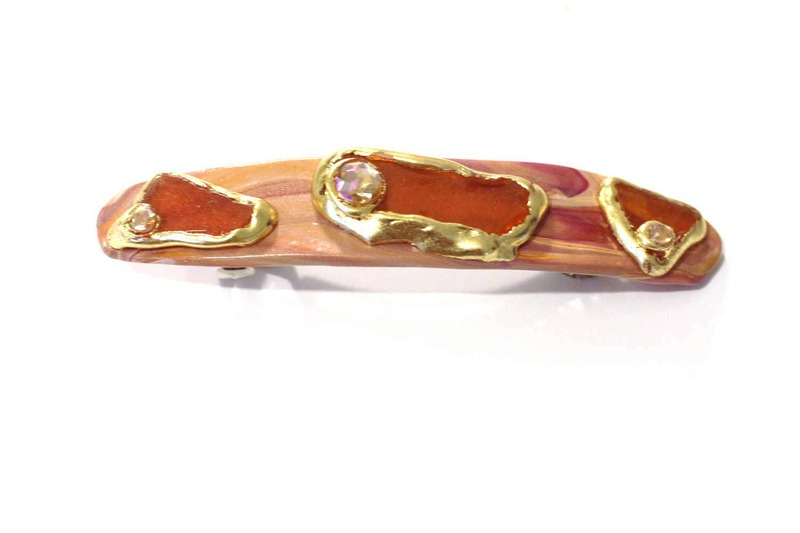 This is a handmade Hair Clip / Barrette. It is long and slim, perfect for thick hair. 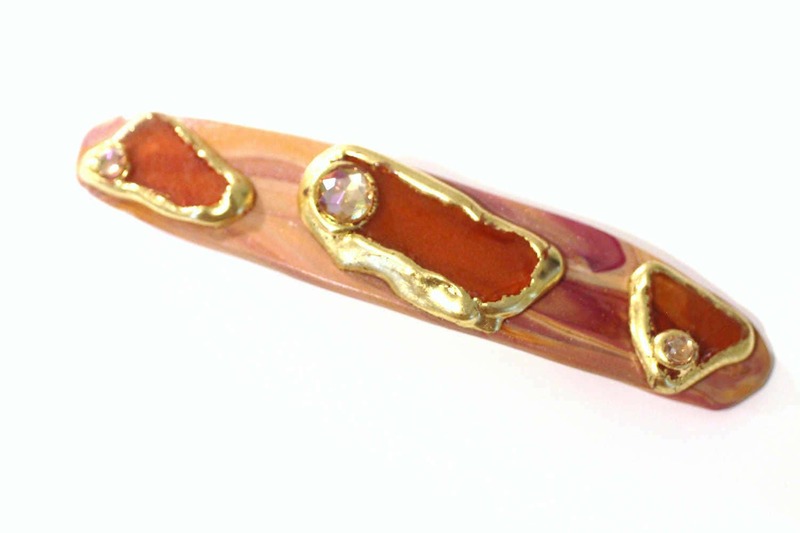 The barrette is made with Soft Shades of Coral Sea Glass, Copper, Gold and Topaz. 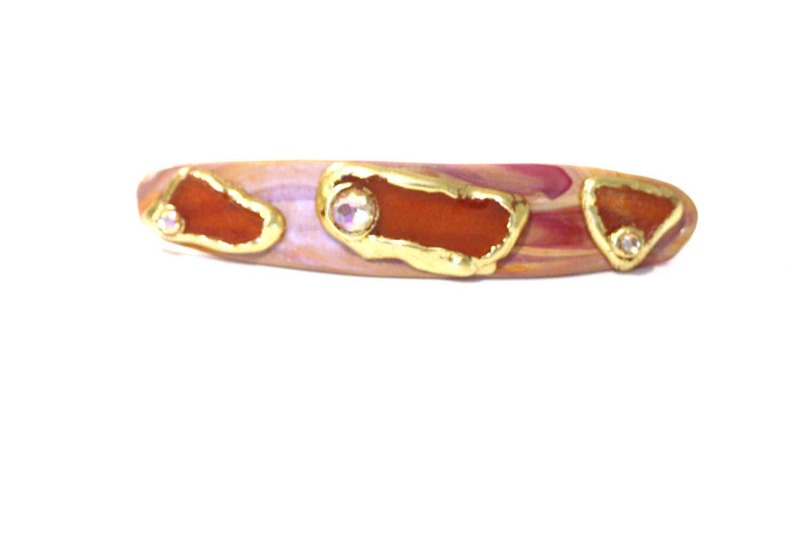 Wear this clip at the beach for a soft summer look. 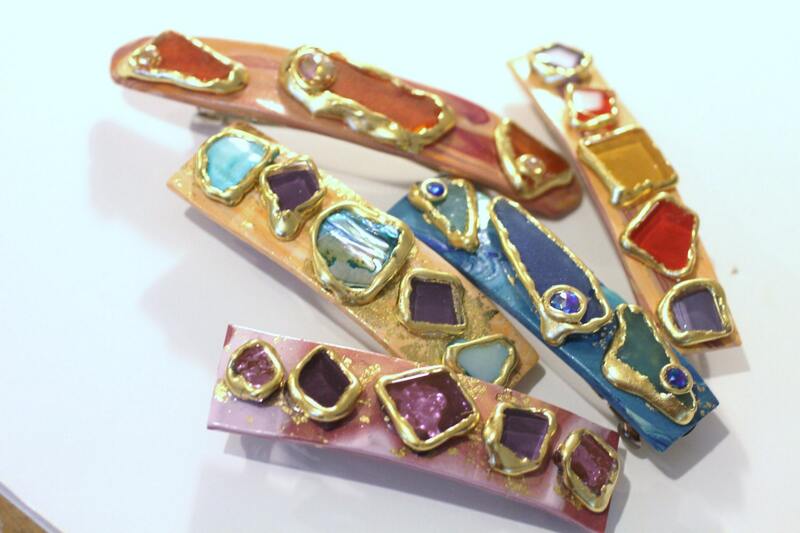 The perfect accessory to compliment any outfit day or night. 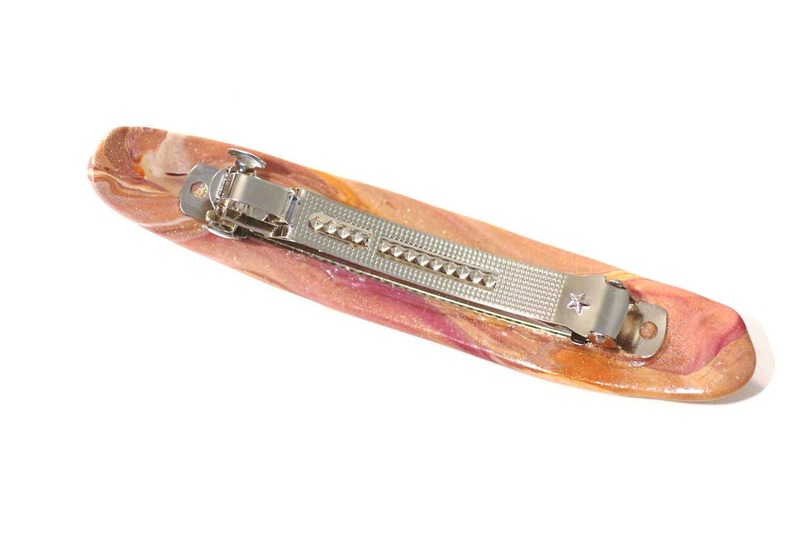 This is a large size french barrette back that will hold most ponytails and thick hair. This clip can be done in additional colors, just convo me.